Anne is a certified mediator and practicing attorney, licensed in New York (1978), Pennsylvania (1987) and Florida (1990) as well as in various federal courts. She has conducted over 6,500 mediations. Anne became a Florida Supreme Court Certified Mediator in 1994 and is approved to mediate and arbitrate in all Federal and Florida courts. She is certified in the mediation areas recognized by the Florida Supreme Court: Circuit Civil, Appellate, County, Family and Dependency, and has received training for the Florida Residential Mortgage Foreclosure Mediation Program. Her legal career spans stints in New York City as insurance defense counsel for various Lloyd’s of London insurance syndicates; Business Affairs/Legal Counsel to the American Broadcasting Company; and Senior Attorney to Radio City Music Hall, as well as in private law firm practice. 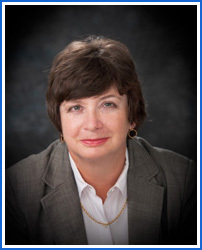 She was appointed as the first General Magistrate and Court Commissioner for the 20th Judicial Circuit in Florida, one of three Florida judicial circuits chosen for the pilot program, and has also held various hearing officer positions. Anne currently manages her Florida-based solo mediation and private business law practice and travels in Florida, nationally, and internationally to present lectures, workshops, and keynote speeches. In May, 2017, she presented a lecture to post-graduate law students and professors in an L.L.M. Program in Budapest, Hungary, on the subject of Mediation from a U.S. Perspective. Raised in the Allegheny Mountains of western Pennsylvania, Anne graduated from New York University with a Bachelor of Arts in Political Science. She received her Juris Doctorate from Fordham University School of Law at Lincoln Center after clerking for a Federal Judge in the Southern District of New York during law school. She is an active member of the New York State and Florida Bars and is licensed to practice in various federal and appellate courts, as well as in the State of Pennsylvania.